The first chef to launch this gastronomic experience and showcase his distinctive modern French cuisine is London-based Phil Howard on 11 May. Co-owner of Elystan Street in Chelsea, Phil began his career working for the Roux, after honing his skills there and also with Marco Pierre White. There after he went on to open his first restaurant The Square where he secured two Michelin stars. This will be followed on May 30 by Michelin-starred chef John Duffin, owner of John’s House in Loughborough. Having started his career in London, John has returned to his roots in Leicestershire and is a keen champion of farm to plate, working closely with local producers to ensure the best ingredient led experiences for his guests. The Guest Chef Series is the brainchild of The Pompadour’s Head Chef, Dan Ashmore, each of the five chefs visiting Edinburgh has inspired and influenced him at different points during his career. They will be given the opportunity to take over the restaurant for one night each and create a unique tasting menu and rare dining experience for guests showcasing their acclaimed dishes. 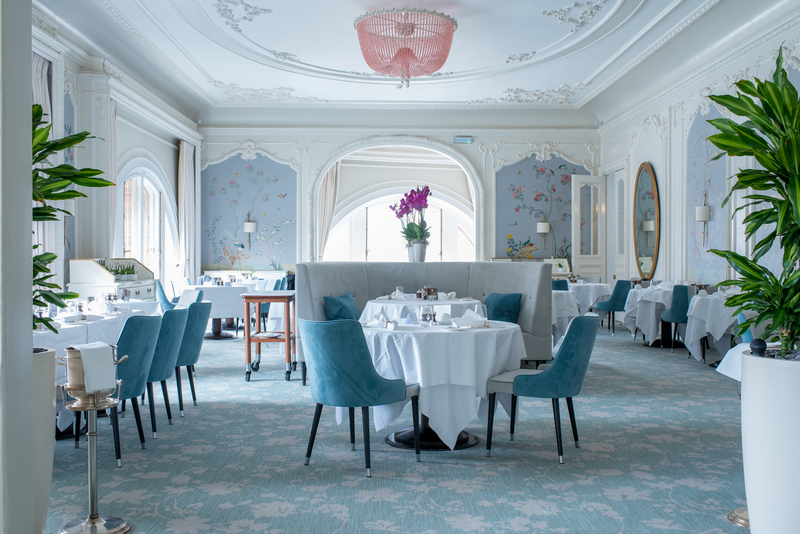 “For three months there will be the chance to experience some of the UK’s most talented chefs from the south of England all under one roof at The Pompadour. These five individuals are respected around the world and we are very excited to welcome them to Edinburgh.